Want to celebrate an amazing effort? Looking for something with a bit of heft for a very special occasion? 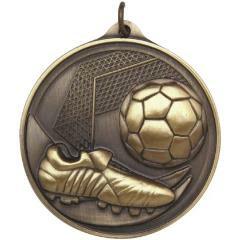 Then consider these great heavyweight soccer medals. These substantial and finely designed medals will certainly leave an impression at your next event!